Who else is tired of wasting time trying to create information products, create sales pages, or get your websites to actually show up in search engines, while you’d rather be spending valuable time with your family, playing sports, eating at your favorite restaurants, or working out? Here’s some of the business enhancement services that Train For Top Dollar can offer to you. Clients are accepted on a case-by-case basis. Upon e-mailing ben@trainfortopdollar.com you will be contacted within 24 hours for a personal, customized needs evaluation. Website Evaluation & Consultation: Complete overview of your entire website, and evaluation for search engine optimization, usability, and maximum profitability, followed by 45 minute phone consultation on exactly what to do to enhance your business. $297 – click here to get it now! Information Product Creation: Inside that creative head of yours, you have a million ideas about the next greatest fitness or nutrition product. You’re a niche expert, after all. Maybe you want to create an e-book to make brides beautiful before their wedding day, a DVD series that shows how to truly cut-up the abs, or a grocery store tour of your local town. And maybe you don’t want to spend the next three hundred hours of your life figuring out how to do it. We can take you from zero to hero inside a month – designing, creating and setting up your product for publishing – while you sit back and just say what you want in your product. Just e-mail: ben@trainfortopdollar.com. Copywriting & Sales Page Creation: Do you have a fitness or nutrition information product you want to create or sell? Do you have no clue how to generate leads, produce a sales page, drive people to your sales page, track your statistics and most importantly, write killer content that gives people no choice but to push the ORDER NOW button? That’s OK. Don’t waste your valuable time when you could be hanging out with your family, working out, or landing more clients. We’ll take care of everything for you. It’s what we do, and we can do it in a fraction of the time it will take you. So if you’re tired of staying up until midnight staring at your computer screen, trying to figure out how to actually sell your stuff online, just e-mail: ben@trainfortopdollar.com. Search Engine Optimization: Warning – you’ll be pleasantly surprised at how simple it is to take your website from the 19th page of Google to the Top Ten. We’ll teach you how. We will even do it FOR you. It’s easy to do and you shouldn’t have to pay some guy in India a few thousand dollars for “Search Engine Optimization” (aka “SEO”). Don’t waste your precious time. Go play golf while your website gets a bit of a beauty makeover that brings a few extra thousand visitors a day. Just e-mail: ben@trainfortopdollar.com. Online Ad Campaigns & Social Networking: Google Adsense. Facebook. Blogging. Twitter. Sure, you have your accounts and you know how to use them, but do you know how to leverage these services for all they’re worth? In other words, do you know how to appear on the computer screen of your exact customer and offer them exactly what they need, and give them no choice but to order exactly the solution that you’ve provided? If so, fantastic! Otherwise, just e-mail: ben@trainfortopdollar.com. Monthly Consulting: personal, one-on-one guidance with unlimited e-mail access and a monthly phone call with Ben Greenfield. $397 – click here. Teach Yourself: Finally, if you feel like learning the easy steps that reveal the secrets of how to do all this yourself, then be sure to check out the book “Train For Top Dollar” by clicking here. Remember, the definition of insanity is doing the same thing over and over again, and expecting different results. The decision is yours to join the ranks of the most successful fitness business minds on the planet. 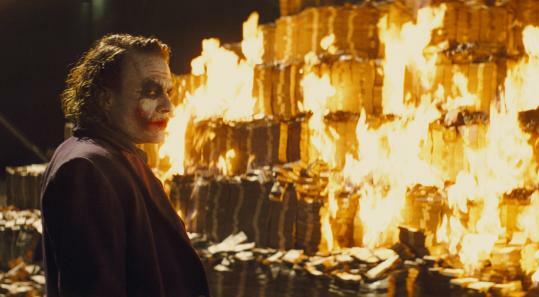 Do you want to burn money, or make money? Quit wasting your time. Spend your life enjoying and doing what you like to do. 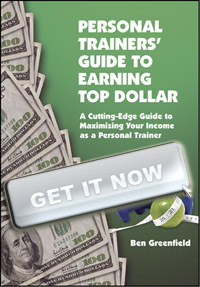 Just e-mail: ben@trainfortopdollar.com. Have questions? Just e-mail ben@trainfortopdollar.com.